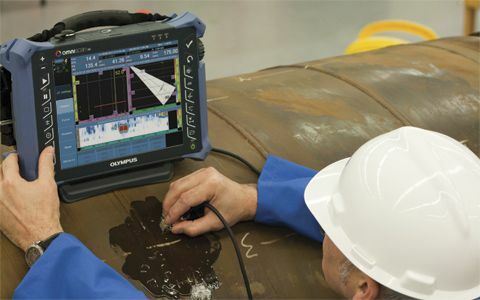 Olympus has an extensive portfolio of inspection solutions that offer unmatched capability for applications ranging from weld inspections to the detection of hidden cracks, voids, porosity and other internal irregularities in metals, composites, plastics and ceramics. 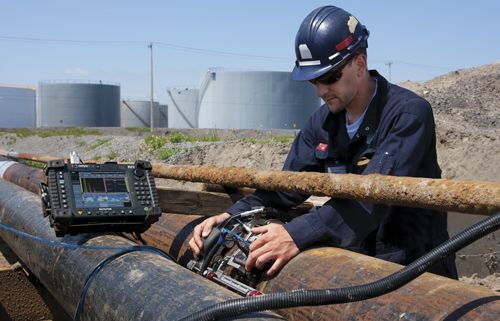 Our high quality inspection solutions offer numerous practical measurement features, application-specific software, ease-of-use, versatility, and ruggedness. 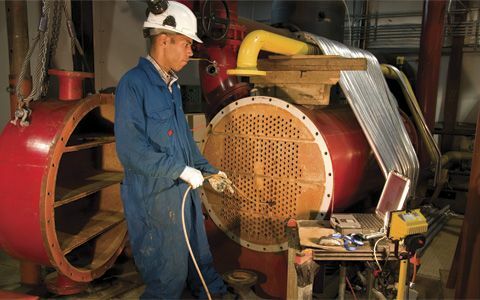 Olympus has a wide range of innovative products utilizing advanced technologies for the manual or automated inspections of internally corroded pipes and tanks, high-temperature surfaces, corrosion mapping of large pressurized vessels and stress corrosion cracking are typical applications that require either manual or automated inspections. The UltraWave LRT is a turnkey solution that uses guided wave technology and excites low-frequency ultrasonic waves that propagate in the axial direction of pipes, from both sides of the probe collar. Tube inspection solutions are based on the MultiScan MS5800 multitechnology instrument. 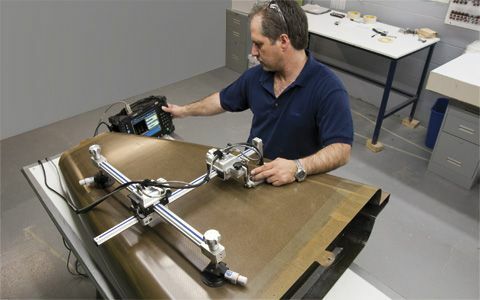 This instrument supports eddy current (EC), remote field testing (RFT), and magnetic flux leakage (MFL) inspection techniques. The MS5800 also supports the internal rotary inspection system (IRIS) ultrasound technique. The Olympus FOCUS LT/TomoView package is used to build fully automated high-performance train wheel inspection systems designed to match freight and high-speed train wheel inspection requirements while minimizing cycle time.